Robinson SquashD | Ian's Tech Ramblings. 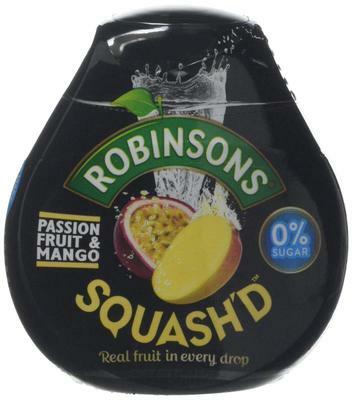 Robinson's Squash is a big UK brand of soft drinks, which you dilute with water. They are usually sold in bottles containing a litre of concentrate.This is a super concentrated version - the bottle fits into the palm of your hand. You need much less than a teaspoonful to add to a large glass of water. There is no added sugar, only what is already part of the fruit. I carry one of these with me in the car, or on my bike. It's easy to find water and you can make a refreshing drink without lugging a big bottle of juice with you.